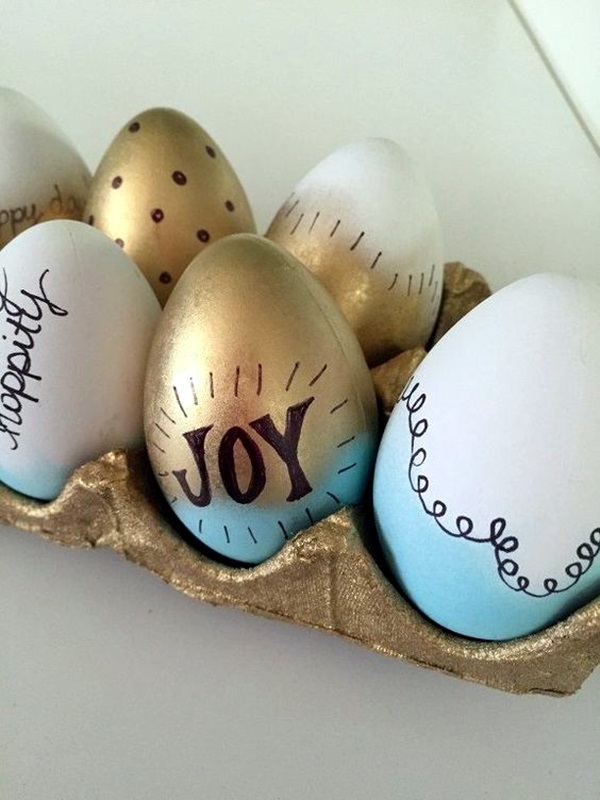 With Easter just around the corner, it makes sense to talk about the way you can make it special and if this adds an art element, then all the more fun it will be. 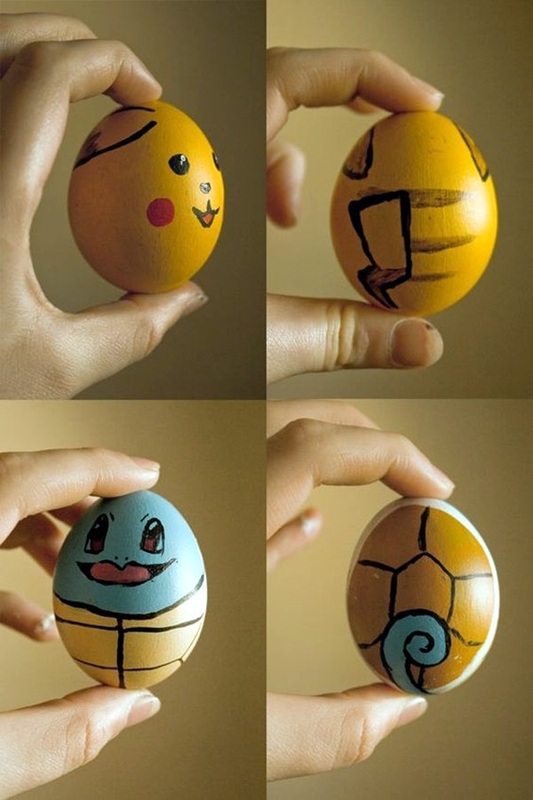 And the best part is that you can decorate these eggs in many charming ways. 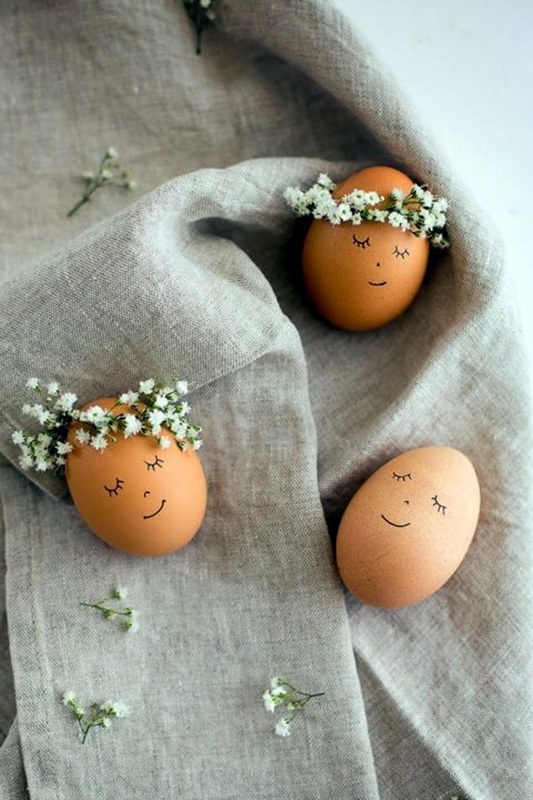 Egg art – extremely simple, delicate and enchanting can be a small way in which you can make your festive season even more special. 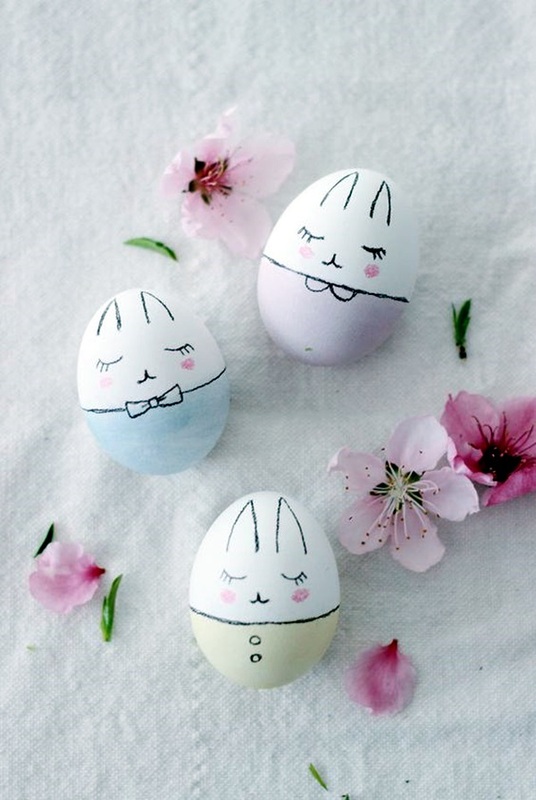 With the Easter egg decoration ideas, we are giving here, you and your family can use this opportunity to spend some quality times doing things together. 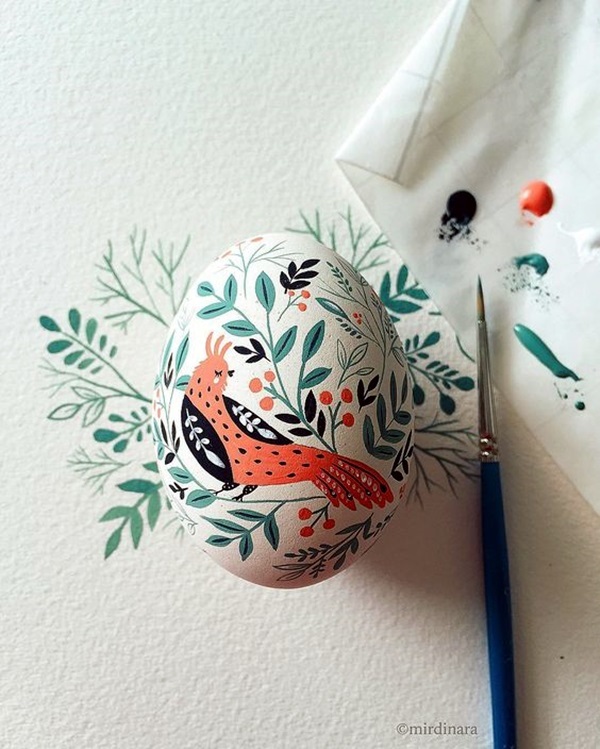 If you don’t think decorating eggs is not just a great project, then you should know that the egg itself is a work of art. Why else would there be Faberge eggs – so many fabulous facts about them? One of the amazing but simple recycling ideas that you can consider is the use of eggshells after you have consumed inside to create lovely works of art. 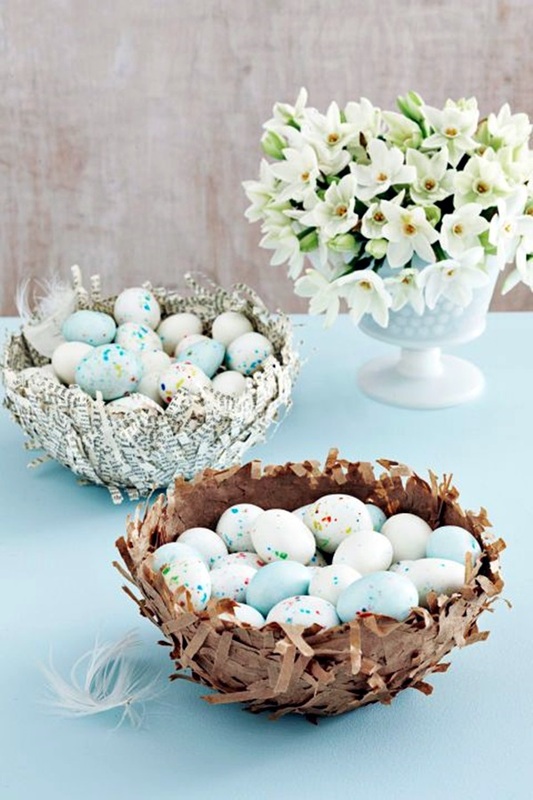 The thing is that Easter egg decoration ideas is that it is delicate work but not as delicate as working with actual eggshells. 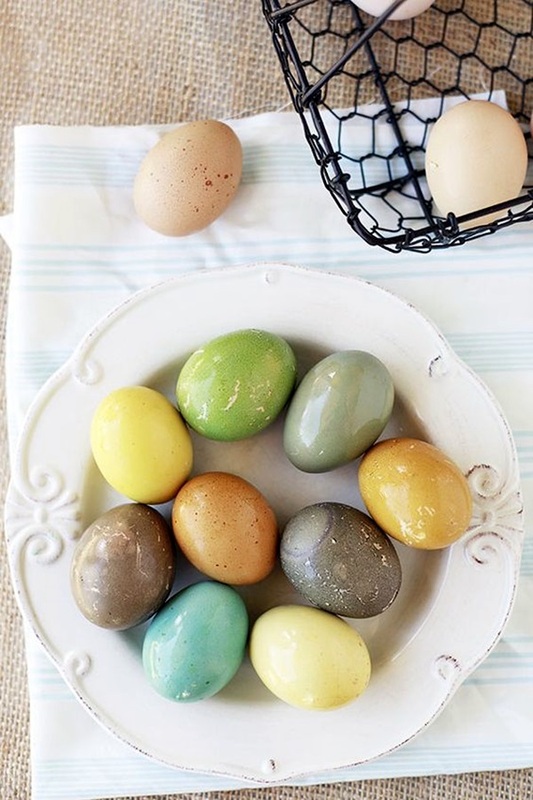 Simply colored and speckled eggs that are easy to do but great to look at. 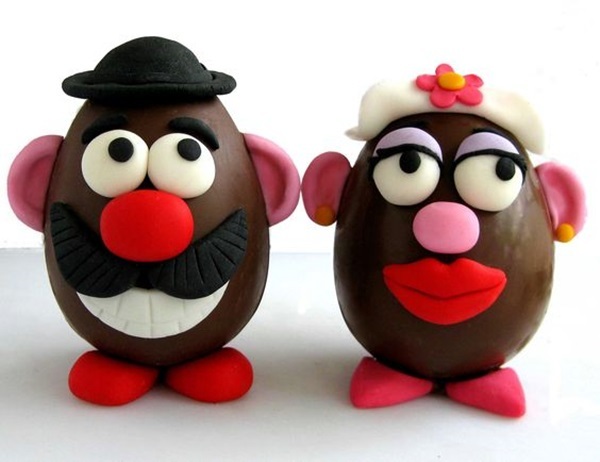 His and hers eggs with simple pen or pencil drawings with a bow and mustache for the boy and blush and long eyelashes for the girl egg. Add tutu like paper decoration to make them colorful. 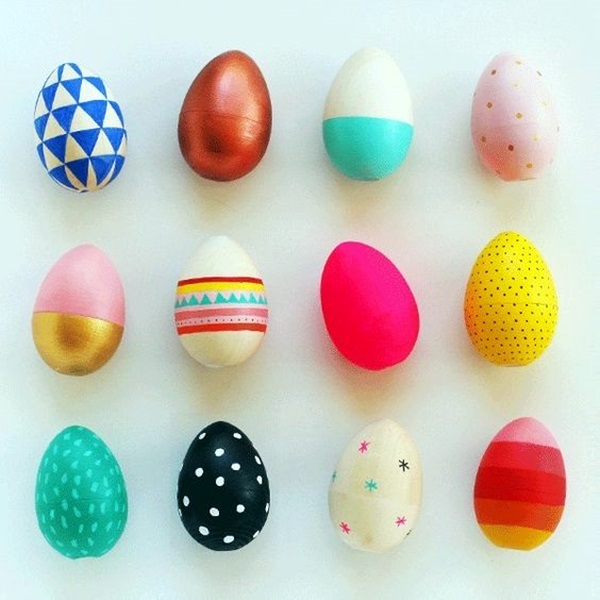 Metallic, dotted, patterned and striped assortment eggs. 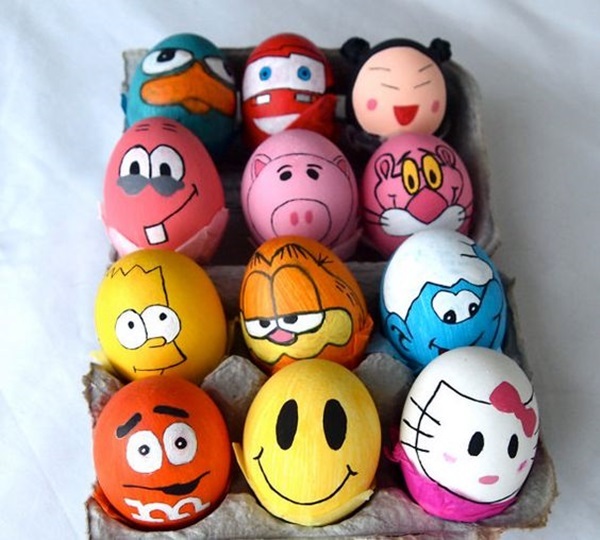 Garfield and the cute little gang are easy to do on eggs. 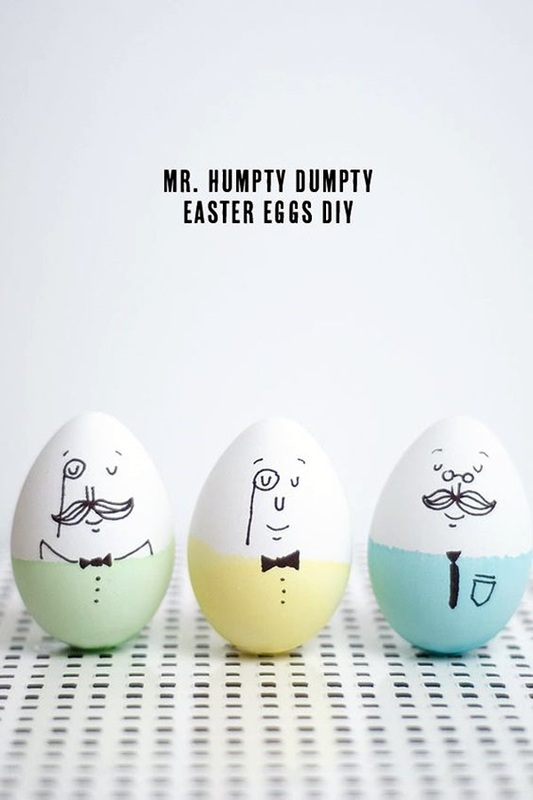 Humpty Dumpty are the classic Easter egg decoration that nobody can resist. 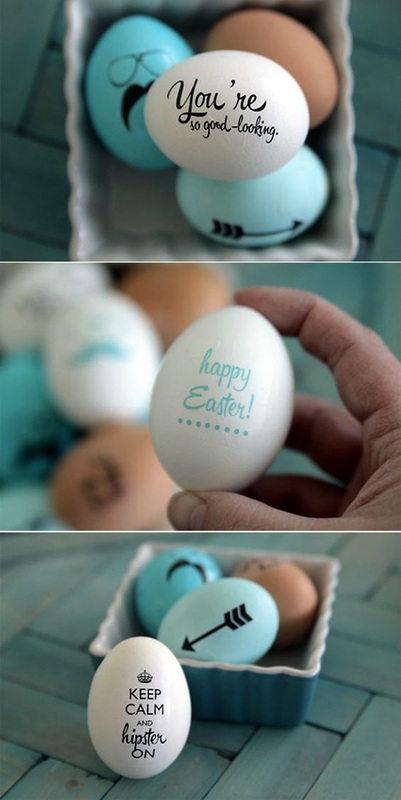 Say cute things and draw cute faces on blue and white eggs. 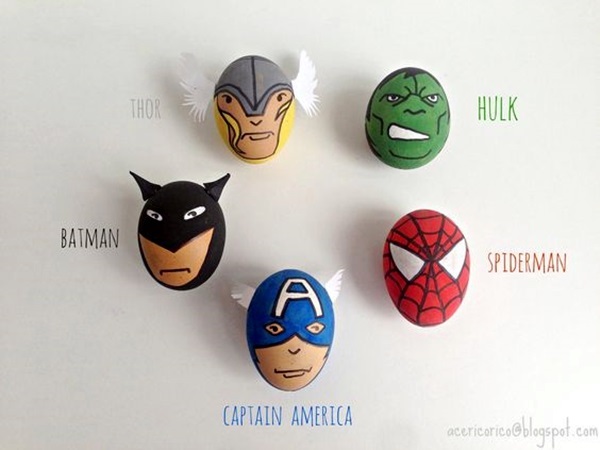 Draw all your super heroes on eggs. 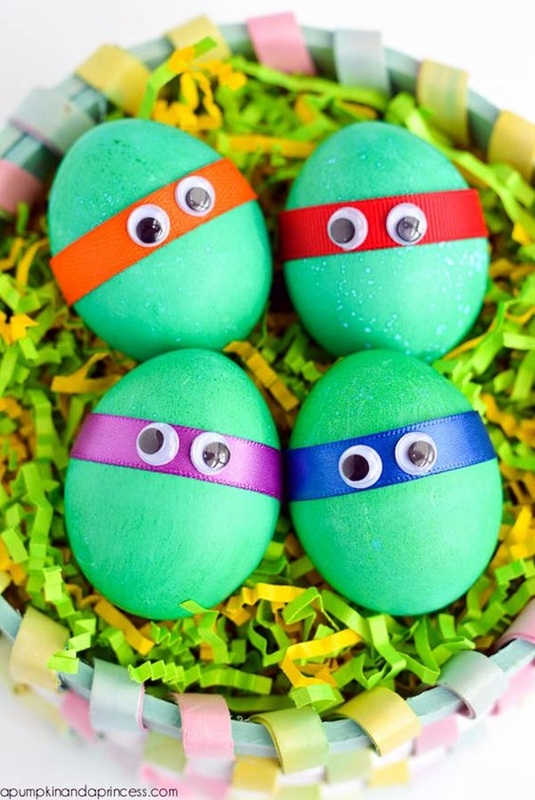 Make cute little monsters of your eggs and everyone will love them. 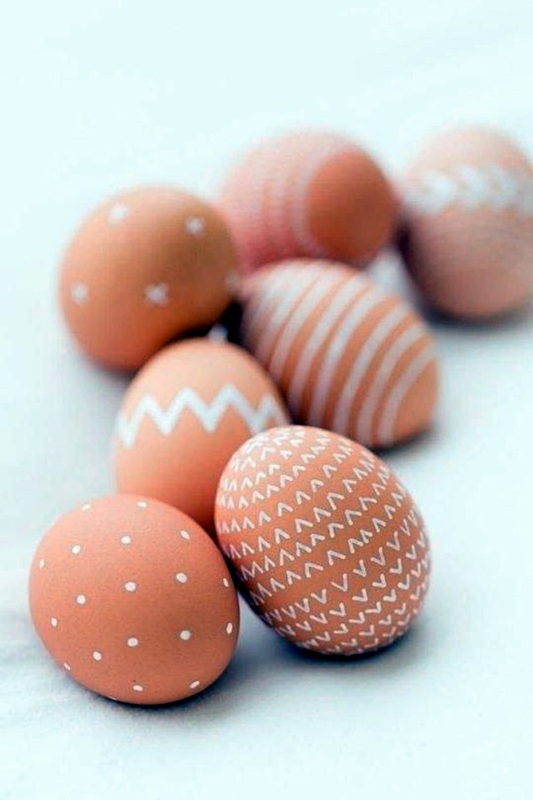 Metallic map like patterns on pastel colored eggs. 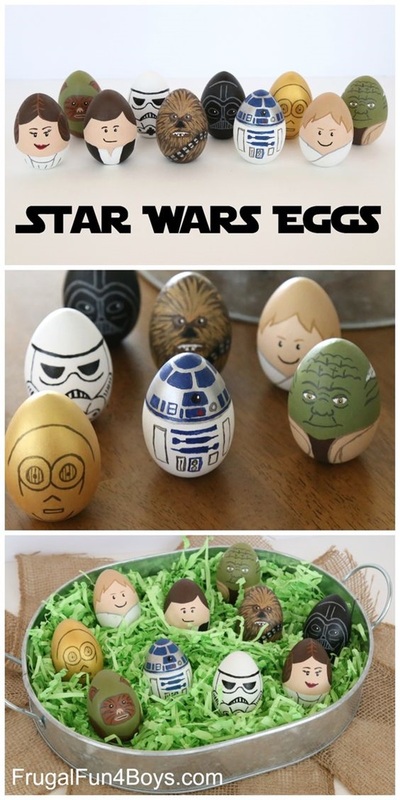 Star war eggs is a great way to get your entire family involved in the enterprise. 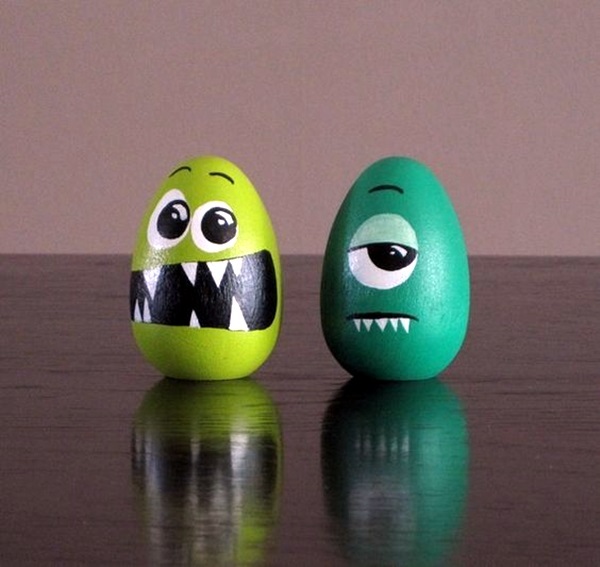 Zombie eggs are another great hit if you have teenagers at home. Make a colony of people with different features in a grassy bed to create a great impression. Cute little tortoise shell cat for everyone to be awed about. 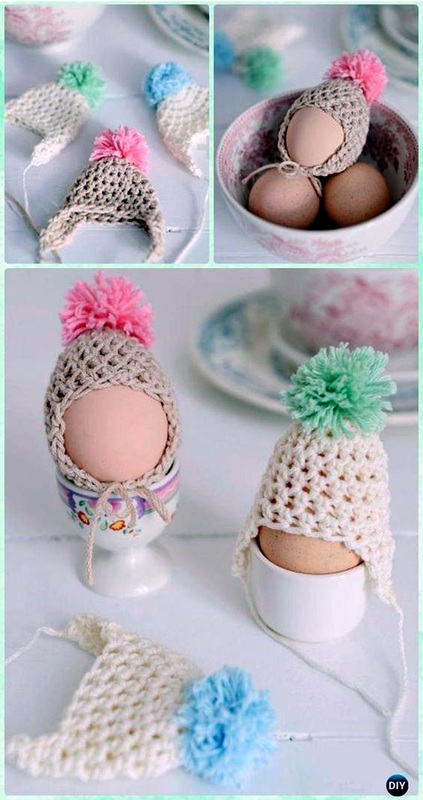 Make your eggs looks like baby heads by putting on pompom hats on them. 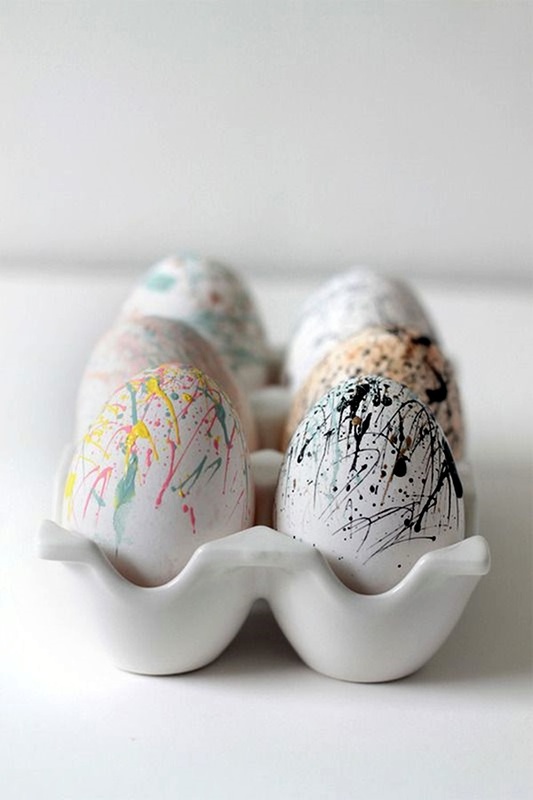 Jackson and Pollock the eggs with different backgrounds. 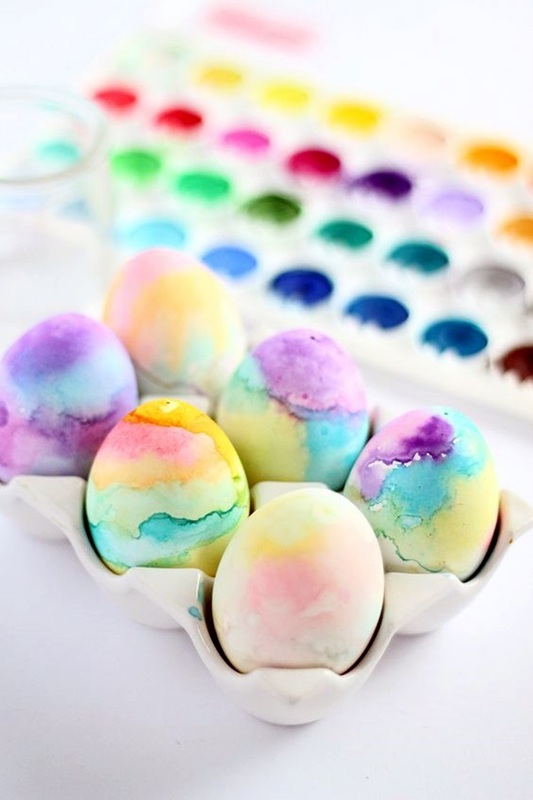 Go all artistic and make your eggs look classy by carefully painting on them. 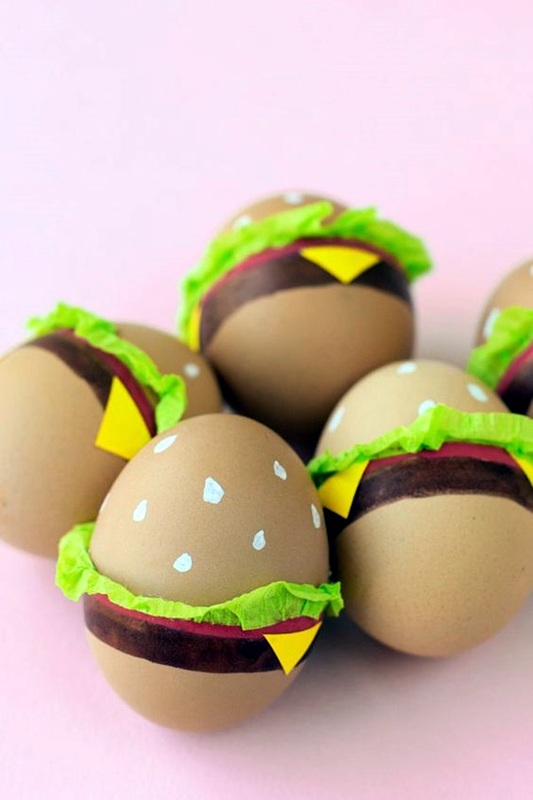 Create textured eggs with cute little touches to make your eggs look special. 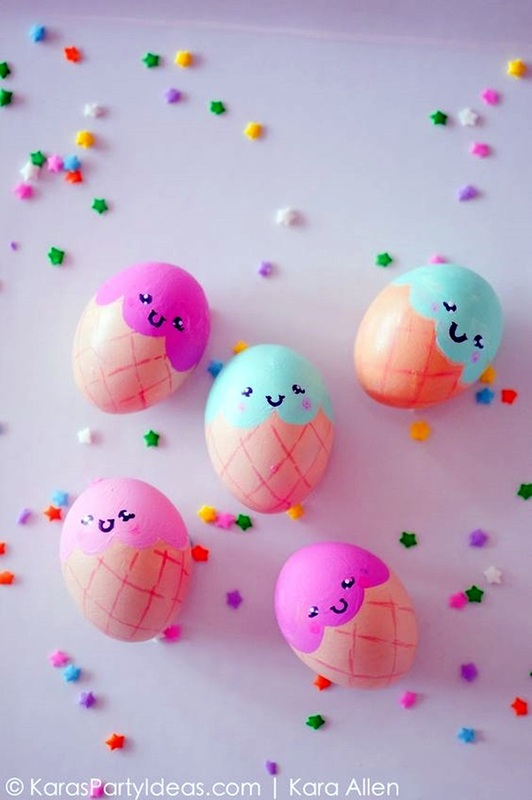 Crisscross patterns will make topped with cream like paint will make your eggs look like snow cones or cupcakes. 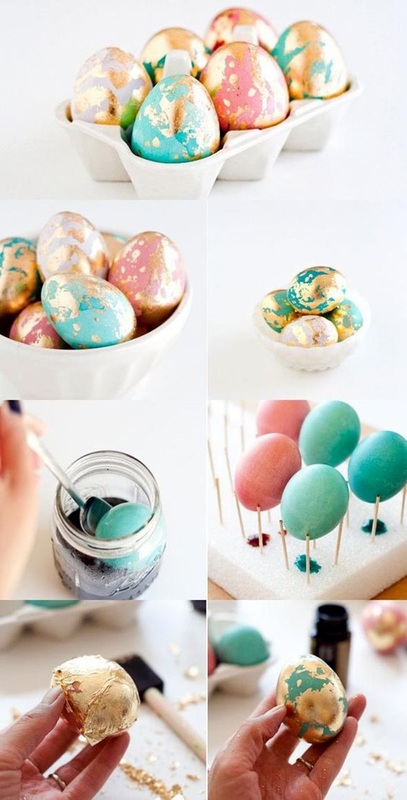 Alternate solid colored eggs with simple designs on them with metallic coloring on the eggs. 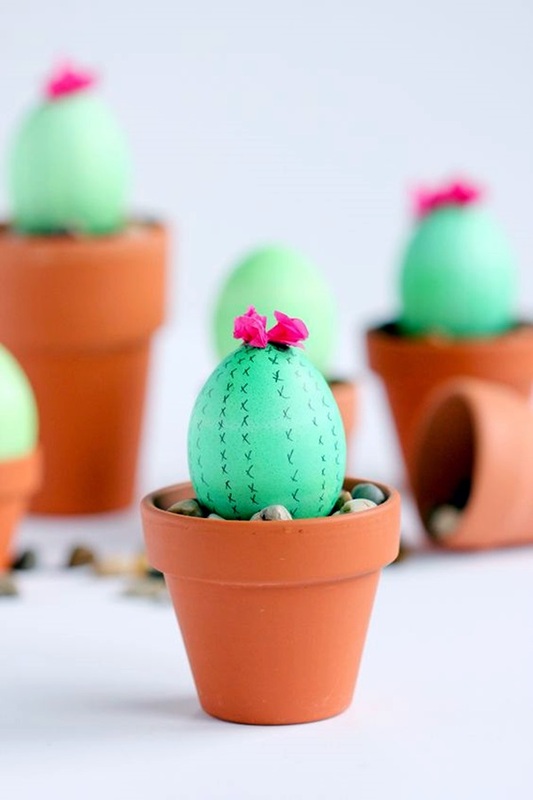 Draw crosses on green colored eggs and put them in miniature clay pots with stones in them to create a cactus like appearance. Stencil delicate golden patterns on the white surface of the eggs. 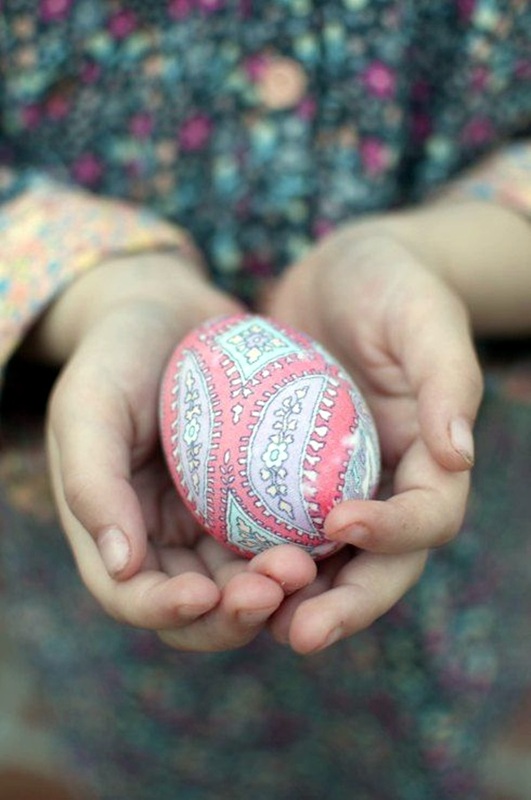 Go bohemian and draw floral repetitive patterns on the eggs. 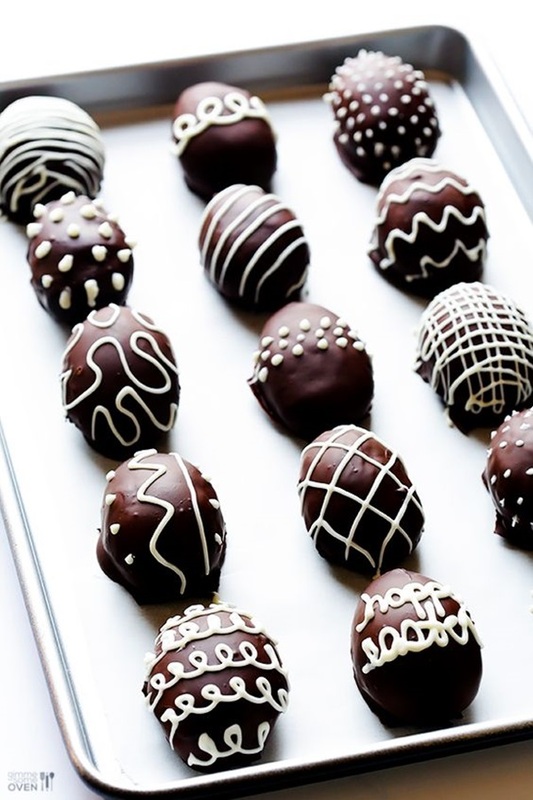 Chocolates eggs decorated with simple vanilla blobs is always a bit hit. 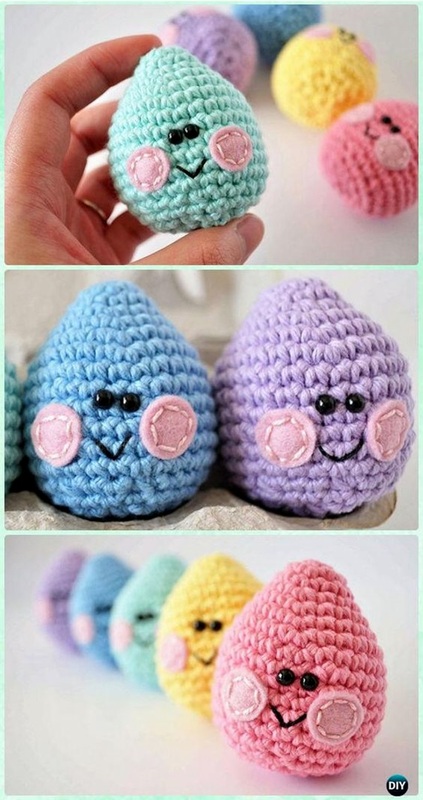 Knit cute little woolen covers for your eggs and don’t forget the eyes. 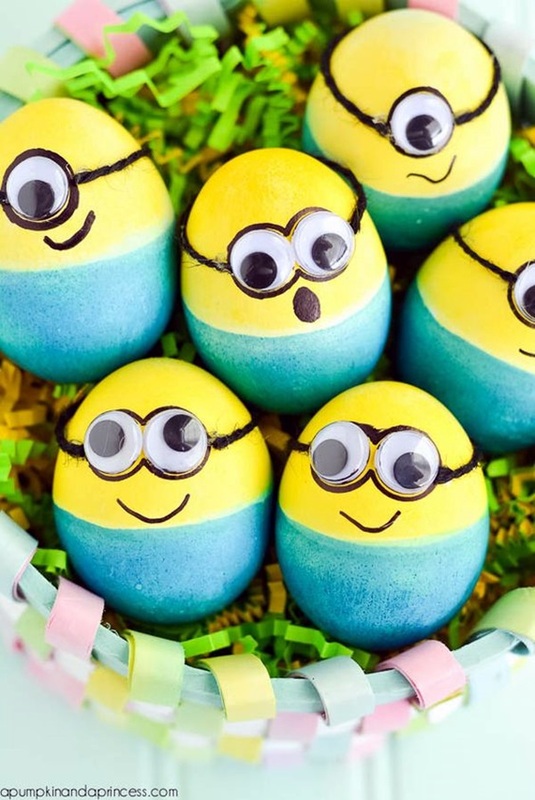 Minion eggs are relatively simple and always cute to have. 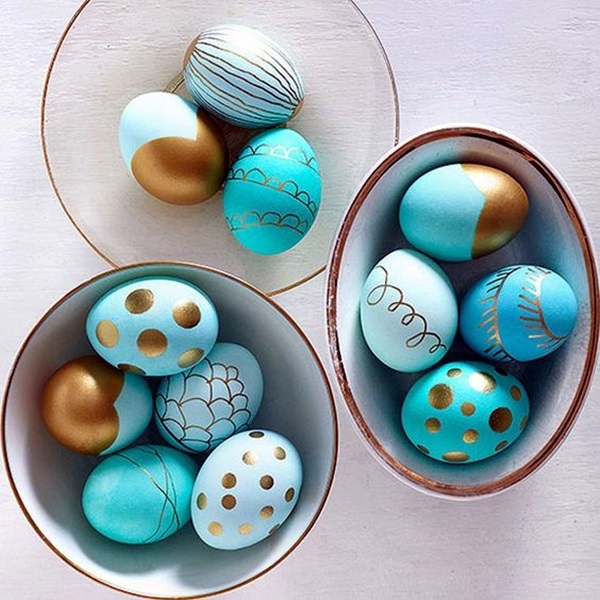 Turquoise and bronze eggs are striking, delicate and festive all at the same time. 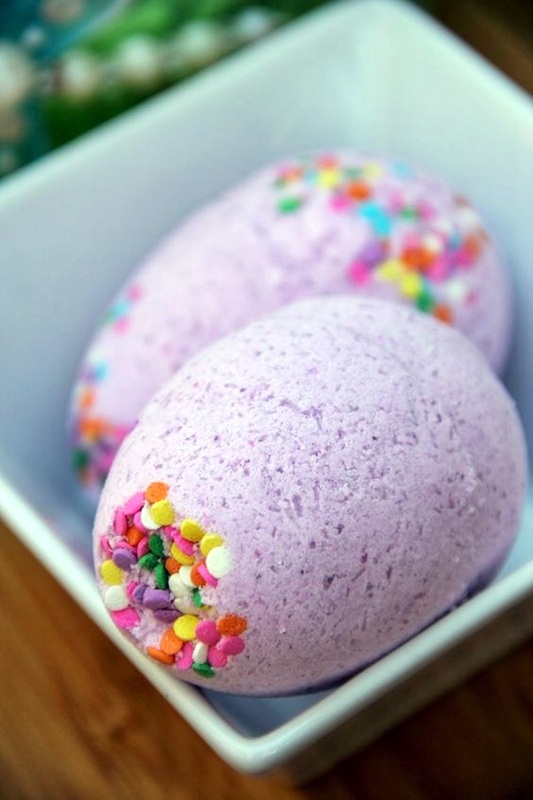 Simple pastel colored eggs with a few dots on them randomly done are easy to do and great to look at. 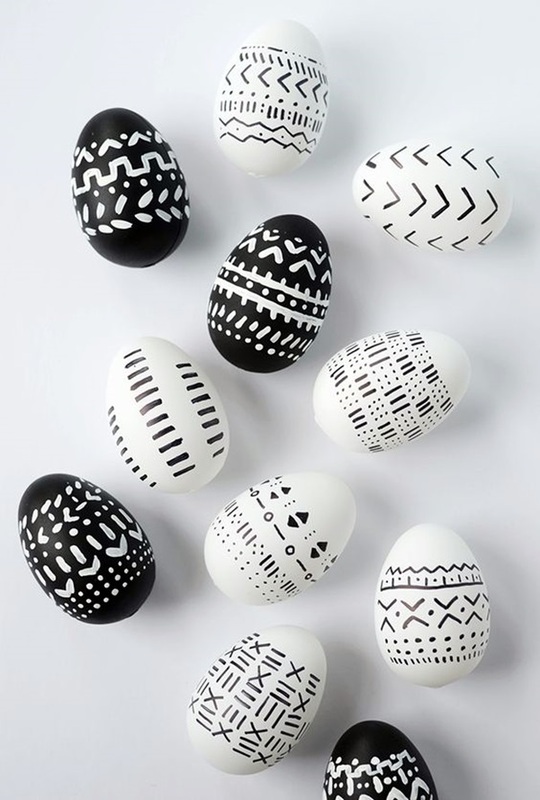 Black eggs with simple white patterns and white eggs with black patterns is a great way to decorate Easter eggs. 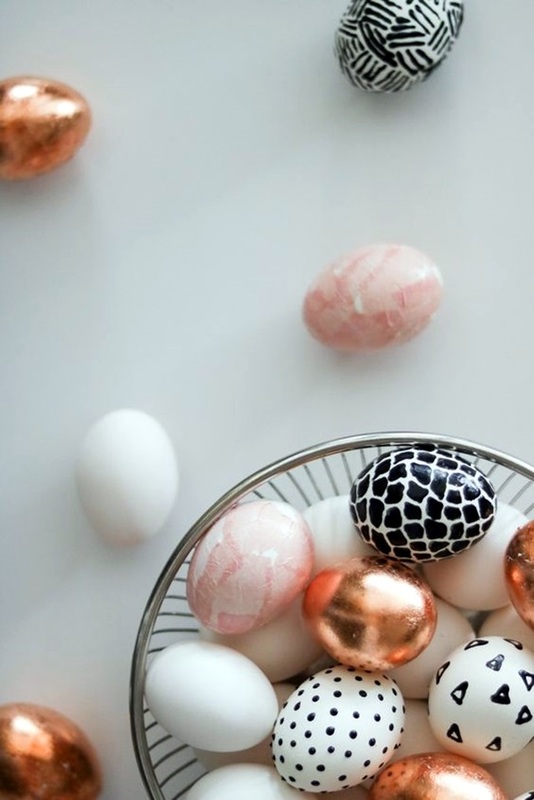 Simple textured patterns along with a metallic egg or two thrown in is a great way to decorate Easter eggs. Mr.and Mrs. 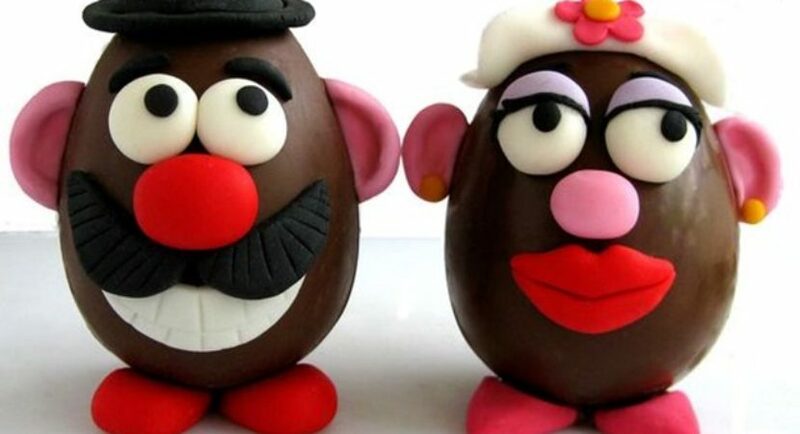 Potato head is a great way to go when it comes to Easter egg decorations. 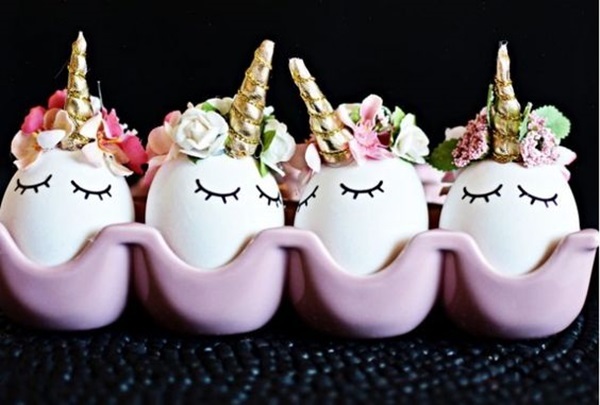 Flowery unicorn eggs are a great way to go and an easy idea too. 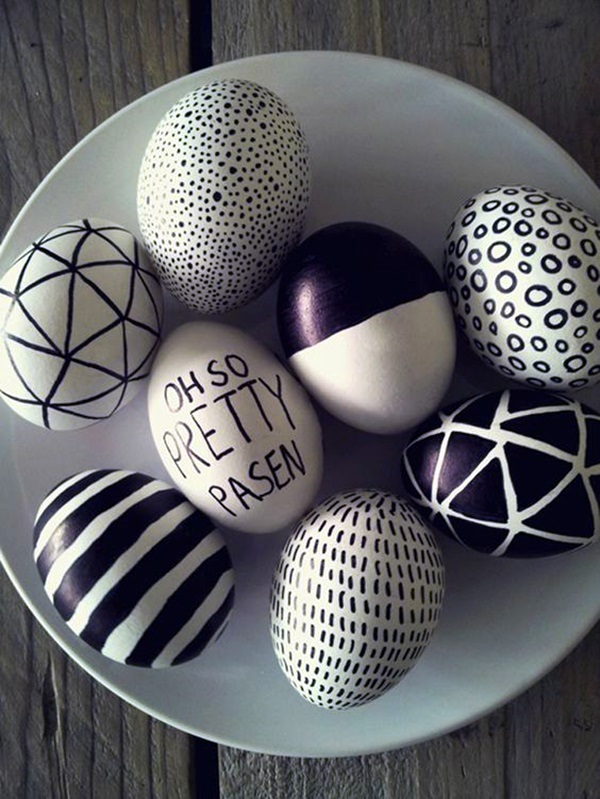 Just go with black and white as the color combination but do each egg in a distinctive pattern. 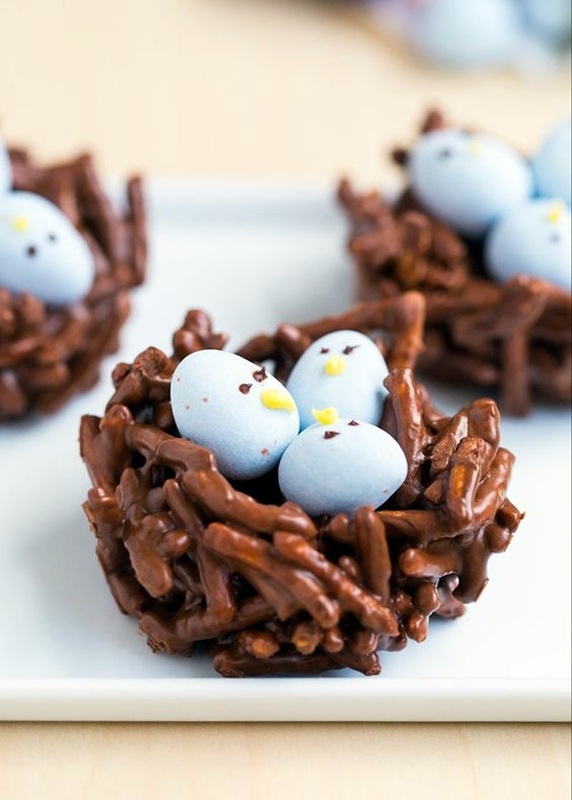 Make bird’s nest of syrup covered pretzel pieces and place cute light colored marzipan eggs with eyes and beak in them. 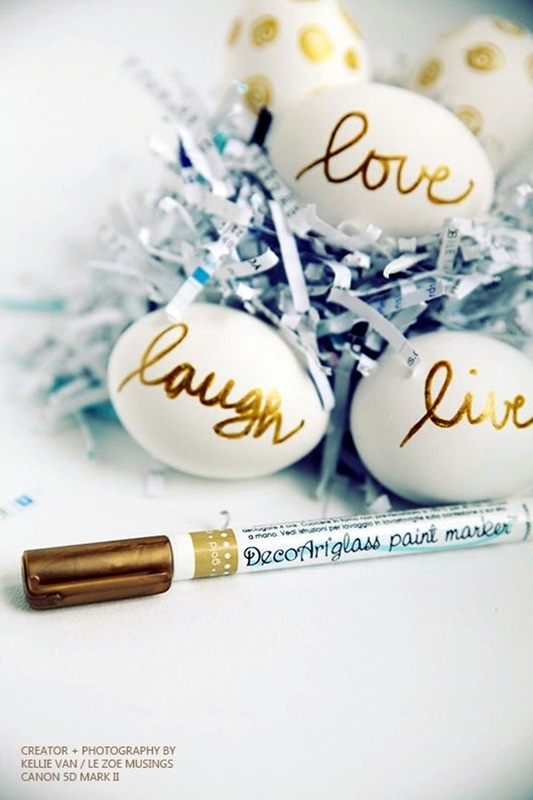 Use a gold pen to write a word each on the egg. 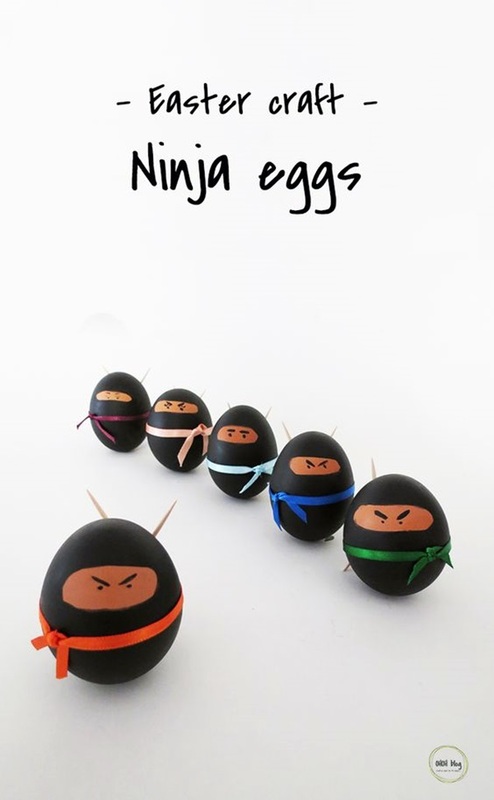 Ninja eggs are easy with black paint, oriental eyes, chopsticks and a band tied around their middle. Bridal eggs have downcast eyes and a flower tiara around them. 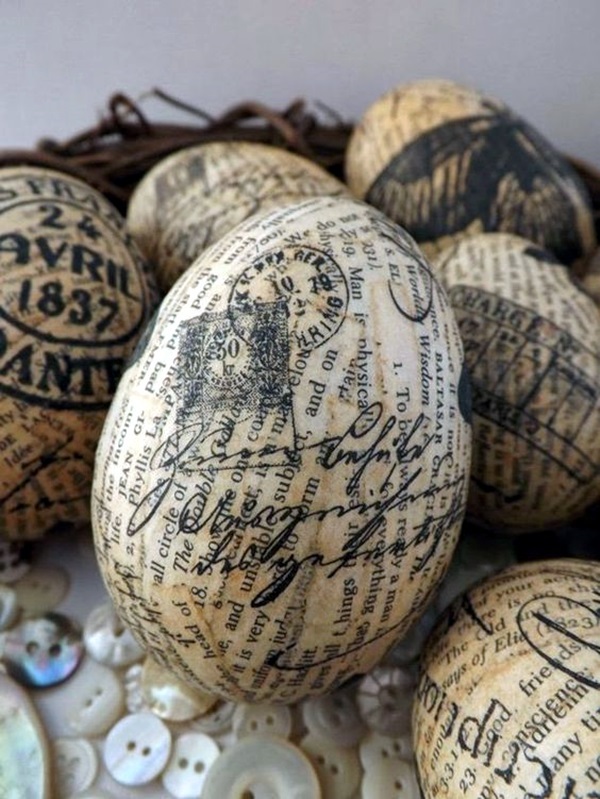 Newsprint eggs are also a nice and classy touch to go with.